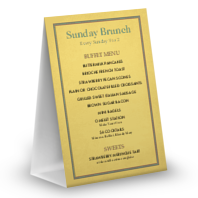 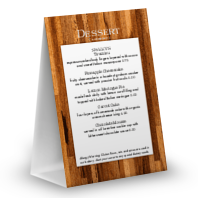 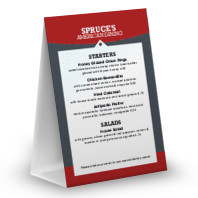 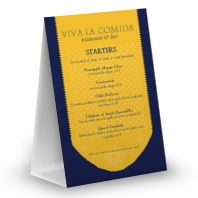 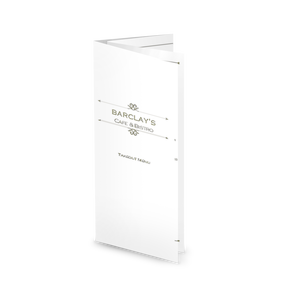 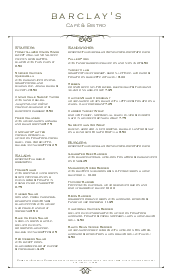 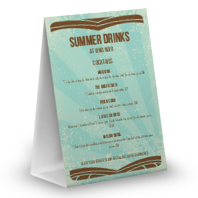 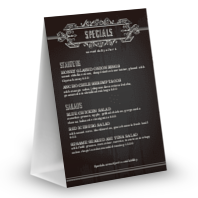 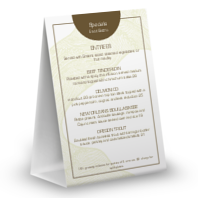 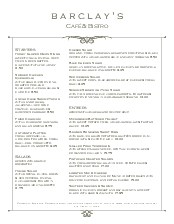 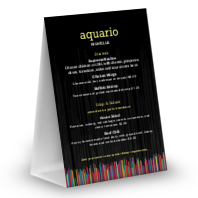 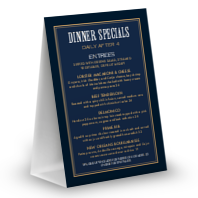 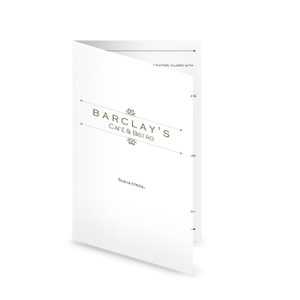 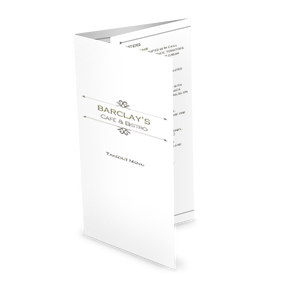 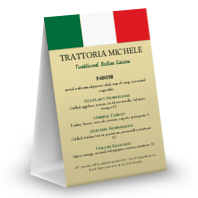 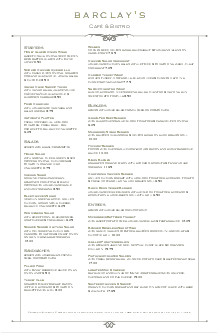 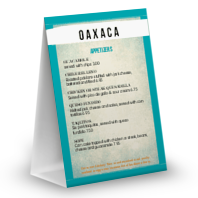 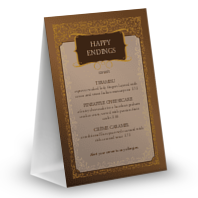 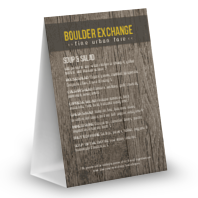 Make a table tent menu with this convenient template in 5x7 or 4x6 size. 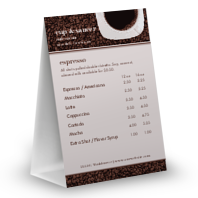 The Market Cafe design collection features contemporary green and merlot accents with upscale flourish style. Add your drink specials, desserts, or seasonal promotions and upsell to your customers directly from the tabletop.